Men despise religion. They hate it and are afraid it may be true. The cure for this is first to show that religion is not contrary to reason, but worthy of reverence and respect. Next make it attractive, make good men wish it were true, and then show that it is. As one would expect, the parade immediately stopped at this point, as the atheists, grasping the truth that Jesus loved them, dropped their placards and joined Mr. Hard Hat in grateful praise to God. Well, not exactly. Instead, the march continued, the marchers all the more firmly established in their convictions. This episode represents, shall we say, a “failure to communicate.” Certainly, nothing was amiss in the proposition asserted; Jesus loves you was both true and important for the audience to understand. And it was articulated clearly; competent speakers of English had no trouble understanding the words. Yet I warrant that none in the audience came, as a result of this speech act, to see the proposition to be true – to believe it. If anything, the communicative result was the opposite. (“You’re with Jesus, you hate me, therefore Jesus hates me.”) Although Jesus loves you is true, it was not believable to those who heard it. This scenario may serve as a metaphor for what believers now face in much of American and European culture with respect to communicating the gospel. To a growing extent, when we assert Jesus loves you (i.e., when we declare the gospel or articulate the Christian worldview), people do not find it believable. As with the atheists in Denver, this is not so much a function of the content of what we say as the context in which we say it. In some cases, it may be the way we say it; in most cases, it is the hearers’ perception (whether accurate or not) of who we are, as we say it. That is, what makes the gospel unbelievable to many today is their perception of Christians and Christianity. This is a reality that followers of Jesus, as they consider the task and importance of civil discourse, particularly in relation to representing the gospel, must recognize. For 1,500 years, it has been assumed that to be good and to be Christian were synonymous. That is simply not true now . . . One of the churches’ great, unacknowledged failures is their reluctance to face this. They like to assume that they hold the high moral ground. If they ever did, they certainly do not now, at least in the minds of the liberal intelligentsia. People often find Christianity’s picture of God unattractive . . . I believe that, beneath people’s alleged philosophical or scientific objections, there is often a gut feeling, at once both psychological, moral and spiritual, that they do not like what has been put before them—and they do not like it not just because of their temperament, or because they are wicked, but because it feels psychologically oppressive, morally suspect and spiritually unattractive . . . I believe that the Christian understanding of God is the most morally and spiritually beautiful picture of the divine that has been put before human beings. But if we want people to feel the persuasive power of this, we have first to hear how people find it morally and spiritually unpersuasive. Arguably, the central objections to Christianity these days, from Dawkins to the editorial pages, are moral objections: Christianity is "too bad" to be true. Engaging such objections adequately—"moral apologetics"—is, in my view, the chief apologetic challenge of our time. However, Christian apologists have given comparatively little attention to diagnosing, understanding, and strategically responding to it. As Harries suggests, we need to consider how people find our understanding of God “morally and spiritually unpersuasive,” and work together to address it. In this paper I hope to encourage further, strategic work by many of us in the area of moral apologetics, toward the end that people would come increasingly to see Christianity and the gospel as too good not to be true. Arguably, the central objections to Christianity these days, from Dawkins to the editorial pages, are moral objections: Christianity is "too bad" to be true. Engaging such objections adequately—"moral apologetics"—is, in my view, the chief apologetic challenge of our time. My purpose here is to contribute to the beginning of a conversation about these matters, by suggesting some ways to think about the project and where it fits into the apologetic and moral terrain, specifically in relation to the believability of the gospel. More particularly, I attempt to sketch a conception of the apologetic task and its relation to moral goodness that is informed by considerations from epistemology, philosophical theology, and broadly Aristotelian moral psychology, which I hope will help clarify the need for moral apologetics, as well as its nature and general shape. What I say is more suggestive than definitive; each of these areas needs to be developed much further. It will also be more diagnostic than prescriptive; developing a strategic plan for addressing these issues is something, I hope, that some of us can work on together. The challenge is much bigger than all of us. I hope that what I say here will be helpful in thinking about the broad shape of the project, but my chief aim is to cast a vision: to sound a call to moral apologetics. The term moral apologetics is ambiguous. It can refer either to being “moral” (i.e., morally good) as we do apologetics, or to doing apologetics in relation to (matters of) moral goodness and evil. In my view, the ambiguity is appropriate, as both aspects are implicated in the problem and required for the solution. My central intuition is that apologists must take seriously the role of goodness in how people are drawn to the gospel. Doing so implies both negative and positive apologetic tasks: that we respond to moral objections raised against Christianity and the gospel and that we point to the goodness of God, both in the content of our apologetic arguments and—most especially—in our lives. Each of these elements is essential, I maintain, if we are to say Jesus loves you in such a way that people actually believe it. I understand apologetics as the art and science of explaining and defending the truth-claims of the Christian worldview. As a science, doing apologetics involves mastering information and arguments. As an art, it involves developing skills in understanding one’s “audience” and tuning what one knows toward engaging them in real communication. While the science of apologetics focuses solely on questions of truth and validity, the art of apologetics is concerned with understanding how people come to believe what is true, or matters of “believability.” Moral apologetics, as I describe it here, reflects concerns that particularly emerge from the “art” side. Positive apologetics involves “playing offense”: pointing to the truth of the gospel by offering reasons and positive pointers on its behalf. Negative apologetics involves “playing defense”: answering objections and clearing away obstacles that obstruct someone’s vision of the truth of the gospel. Moral apologetics includes both orientations. It involves thinking strategically about how to point to the goodness of God, on the one hand, and about how to respond effectively to moral objections mounted against God’s goodness, on the other. Beyond these basic distinctions, I will make two further suggestions about apologetics that are, perhaps, less obvious. I will introduce the second in the section 3, but the first here. An important concern related to the art of apologetics, I have suggested, is “believability.” Apologists should be concerned, not only to defend the claim that a proposition like Jesus loves you is true, but to do so in such a way that others will see it to be true, to believe it. What does it mean, to come to believe such a proposition—in a way that is appropriate to the sort of proposition it is and to the kind of response that it properly calls forth? Deep theological waters glisten before me, which I hope to leap with a single bound. For my purposes here, I make two assumptions. I assume, first, that a necessary condition for one’s coming to believe that p, where p is a proposition that is part of the essential content of the gospel, such as Jesus loves you or Jesus died on the cross for my sins, is that the Holy Spirit is at work in one’s heart, drawing one to himself—however we undertand the details of this, theologically. Second, I assume (again, however one spells out the details) that the Holy Spirit uses human agents such as evangelists and apologists in the process of drawing someone to himself. The first assumption is simply a given in this discussion; my focus is related to the second. That assumption implies that we should approach our role as apologists both prayerfully and intelligently, and I suggest that this means we should think carefully and strategically about both the science and the art of apologetics. With respect to the latter, I suggest further that we should reflect, among other things, on how people form beliefs, and specifically, how they find them to be believable. Credibility has to do with having reasons to believe something is true. The credibility question with respect to some matter is: Is it true? Where p is a proposition, for subject S to believe that p (i.e., to hold p to be true, or to assent to p as true), S needs to think that p is true—S needs to have reasons to believe that p. That is, p must be credible to S; credibility is a necessary condition for believability. Put differently, there is, as it were, a credibility filter in S’s mind through which S’s considerations of p must successfully pass, before S believes that p.
The gospel, as they see it, is (therefore) implausible—it couldn’t be true; it’s too bad to be true. Thus, although there is important work for moral apologetics to do at the levels of both credibility and plausibility, the need for making plausible (“plausibilizing”) the Christian worldview morally is particularly exigent at this time: softening the moral soil so that the seeds of the gospel may be able to penetrate. Traditional apologetic strategies focus on the credibility of Christianity, providing evidence or reasons that, in its constituents (e.g., the resurrection of Jesus) or in its totality, the Christian worldview is true. This is a crucial task, as credibility is necessary for believability. But it is not sufficient. There is a prior filter in S’s mind through which S’s considerations must successfully pass before S will even entertain the question whether p is true, and, thus, actually consider evidence that it is. This is a plausibility filter. The plausibility question with respect to p is: Could p be true? Only if S sees p as plausible will S seriously consider whether p is credible. To use agricultural language, plausibility has to do with the kinds or conditions of “soil” in which propositional seeds can grow. Misconceptions about the gospel, faulty assumptions about science, or bad experiences with Christians do not (yet) function as reasons or arguments against the existence of God or explicit defeaters for belief in things like the resurrection of Jesus. What they do is to harden the ground against entertaining such reasons, or seriously considering the truth of the gospel. Plausibility factors like these render Christianity unattractive, even unthinkable for people, who may simply write it off from consideration entirely (“It couldn’t be true”) and so never seriously consider evidence that it is true. Credibility and plausibility both constitute necessary conditions for S’s coming to believe p to be true. If p is already plausible to S, credibility considerations may be all that is needed for p’s becoming believable to S. But if p is not plausible to S, S will not seriously attend to those considerations, and the communicative focus must shift to plausibility. Such is the situation to an increasing extent, I believe, with respect to the gospel, which has become implausible to many. While this is due to a number of factors, our subject here is at the heart of it: Christians and Christianity seem to increasing numbers of people to be bad. The gospel, as they see it, is (therefore) implausible—it couldn’t be true; it’s too bad to be true. Thus, although there is important work for moral apologetics to do at the levels of both credibility and plausibility, the need for making plausible (“plausibilizing”) the Christian worldview morally is particularly exigent at this time: softening the moral soil so that the seeds of the gospel may be able to penetrate. The Psalmist invites us to “Taste and see that the LORD is good.” (Psalm 34.8) Peter draws upon this image, as he invites his readers to grow in Christ: “Like newborn babies, crave pure spiritual milk, so that by it you may grow up in your salvation, now that you have tasted that the Lord is good.” (1 Peter 2.2-3) What Peter sees as the result of his readers’ tasting of God’s goodness is suggested in his immediately subsequent phrase: “As you come to him . . .” (4a). The picture suggested here is one that is reflected throughout Scripture and the history of Christian thought, viz. that God is good, and we are—and should be—drawn to him for precisely that reason: as good. Such an understanding also fits the classical philosophical conception of goodness as essentially desirable. On this view, we as rational agents are drawn to what we take to be good, and, whether we are reflectively aware of it or not, we in fact order our lives in relation to what we conceive to be our ultimate good, our summum bonum. Such is the basic shape of moral psychology in the classical, especially the broadly Aristotelian tradition. Although I can’t defend these claims in any remotely complete way here, I will fill in the contours of this biblical and classical picture a bit more fully in what follows. The biblical story emphasizes God’s goodness and people being drawn to him in that light. Examples of passages and contexts could be multiplied. I’ll briefly note two, the first reflecting a general pattern, the second a particular instance. Arguably, the most common worship chorus in the Old Testament, appearing in different Psalms and appealed to in a range of circumstances and worship contexts, from dedicating the Temple to facing enemies in battle, is the familiar refrain: “Give thanks to the LORD, for he is good; his love endures forever.” The worship pattern of the people of God was consistently to face joys and challenges by focusing their attention on God’s goodness, expressed in his steadfast love (hesed) toward them. The greater our nearness to God, the less we are affected by the attractions and distractions of earth. Access into the most holy place is a great privilege, and a cure for a multitude of ills. It is good for all saints, it is good for me in particular; it is always good, and always will be good for me to approach the greatest good, the source of all good, even God himself. What I want to emphasize from both of these contexts is not only the centrality of God’s goodness to the biblical understanding of God, but also the role that one’s awareness of God’s goodness plays in one’s being drawn to him, coming to him in order to worship him, trust him, and love him. Responding properly to Jesus loves you, I suggest, involves a kind of conviction of Jesus’ goodness. God’s goodness plays a central role in the historical tradition of Christian thought about God as well. According to Boethius, for example, God is identical in his substance to true or supreme goodness, by which “He rules all things.” God’s goodness “is the helm and rudder, so to speak, by which the fabric of the universe is kept constant and unimpaired.” The goodness of God is a central (perhaps the central) feature of Augustine’s thought. Augustine endorses the classical moral psychology, according to which we do all that we do in relation to what we take to be our summum bonum. Here the supreme good is sought, the good to which we refer everything that we do, desiring it not for the sake of something else, but for its very own sake. Obtaining it, we require nothing further in order to be happy. It is truly called the “end,” because we want everything else for the sake of this, but this we want only for itself. The highest good, Augustine argues, which everyone is ultimately seeking, is in fact God himself. Augustine’s famous words at the beginning of his Confessions should be understood in that light: “You have made us for yourself, and our heart is restless until it rests in you.” God is our good, the good we ultimately seek. In Thomas Aquinas the classical understanding of good as desirable is at the heart both of his moral psychology and his metaphysical teleology. [W]hatever man desires, he desires it under the aspect of good. And if he desire it, not as his perfect good, which is the last end, he must, of necessity, desire it as tending to the perfect good, because the beginning of anything is always ordained to its completion; as is clearly the case in effects both of nature and of art. Wherefore every beginning of perfection is ordained to complete perfection which is achieved through the last end. The “perfect good” toward which all human desires ultimately point, for Aquinas, even beyond the full realization of the specific potentialities of human nature, is God himself. God is the ground or “Supreme Fount” of goodness and its true fulfillment, as “the vision of the Divine Essence fills the soul with all good things, since it unites it to the source of all goodness.” Like Augustine, Aquinas sees the universal human hunger for goodness as an expression, most fundamentally, of the longing to know God. “There is but one Sovereign Good, namely, God, by enjoying Whom, men are made happy.” The deep connection between goodness and God also shapes Aquinas’s natural theology. Near the beginning of his initial metaphysical reflections on the nature of God, prior to his arguing for God’s infinity or even unpacking the nature of God’s existence, Aquinas devotes two full questions (Ia.5-6) to the nature of goodness and God’s goodness, developing a rich metaphysical account of goodness that underwrites the metaphysical teleology and moral psychology noted above. At the heart of Aquinas’s thought is seeing God as good, as the supreme good. What I hope is salient from this incomplete survey is the recognition, from Scripture and the Christian tradition, of the essential connection between coming to God and seeing God as good. Although recognizing God’s goodness may not be sufficient for coming to him, i.e. for believing in him and embracing the gospel, it does appear to be not only necessary but central. For the religious believer, trust, praise and worship all focus on this one property, whose importance in the religious life thus cannot be overestimated. In fact, earlier in this century, the British philosopher A. C. Ewing once stated that the most important thing about religion is its claim that the being on whom everything depends is absolutely and supremely good. Classical philosophers and theologians identified the supreme or ultimate values in the moral, cognitive, and aesthetic realms as goodness, truth, and beauty (or: the good, the true, and the beautiful). As ultimate values, goodness, truth, and beauty constitute the ends or what is ultimately desired and sought for in these different domains. Moreover, classical thinkers understood goodness, truth, and beauty as bound together in a dynamic unity; indeed, as being ultimately one: truth is good, goodness is beautiful, beauty is good and true, and so on. This picture was easily amenable to early Christian thinkers, who saw these values as ultimately bound together in the nature of God. God is the good, the true, and the beautiful—the ultimate ground, source, and end of all cognitive, moral, and aesthetic value. On this view, as we have already seen with goodness, desires for truth and beauty ultimately reflect a desire for God. Anselmian apologetics not only appeals to a richer and more balanced understanding of humans as bearers God’s image, but also follows the broader pattern of biblical examples of apologetics found, for example, in the Psalms—where psalmists, using vivid poetry (set to music), declare and describe God’s manifold greatness (beauty, goodness, power, majesty, truth, etc.) as being supremely worthy of worship, and call the nations, on that basis, to respond with such worship. Traditional apologetics is concerned chiefly with truth; its appeal is to the cognitive domain. The aim of traditional apologetics is to show, with reasons and arguments, that Christian truth claims are in fact true—true to facts about the natural order, the origin of the universe, the life, death and resurrection of Jesus of Nazareth, and so on. Some people, however, are drawn to God more through reflections of his goodness or beauty in the world than through reasoning about such matters. Given the variety of pointers to God and the complexity of human psychology (and epistemology), I suggest that our understanding of apologetics should be broad enough to include each of these (and perhaps more) kinds of considerations in pointing to God. Anselmian apologetics not only appeals to a richer and more balanced understanding of humans as bearers God’s image, but also follows the broader pattern of biblical examples of apologetics found, for example, in the Psalms—where psalmists, using vivid poetry (set to music), declare and describe God’s manifold greatness (beauty, goodness, power, majesty, truth, etc.) as being supremely worthy of worship, and call the nations, on that basis, to respond with such worship. God is the ultimate ground of goodness, truth, and beauty; he is their origin, their source, their end, their fullest actuality, and he is to be worshiped as such. God is not just an inferred entity or the best explanation of certain phenomena, but the ultimate to-be-worshiped. This broader picture, it seems to me, should be reflected in our apologetics. For some people and in some circumstances, goodness and beauty play a particularly important role in plausibilizing the gospel. These values (to anticipate where I’m headed next) engage experiential and desiderative aspects of the epistemic “soil,” beyond the merely cognitive, and those aspects are often deeply important in determining what one takes to be plausible. Consider Psalm 27, for example, where David, in the midst of ugly, fearful conflict, longs for beauty—and turns to God as the satisfaction of that longing. David’s deepest longing, he saw, was for God himself. This fits the general picture we’ve seen. But note that this longing for God was beauty-shaped, an experience, I suspect, that is echoed in the lives of many others. C. S. Lewis stands, for many of us, as a model for truth-oriented traditional apologetics, and rightly so. But Lewis also developed pointers to God based on goodness and beauty, expressed both in arguments and in imaginative literature. To many readers, the latter represent Lewis’s most powerful apologetic work. In Lewis’s own journey to faith, moreover, beauty was arguably the most important factor. Putting these considerations together with what we’ve already seen, we can rough out an initial picture of moral apologetics: Within a broad conception of apologetics as pointing to all that is true of God, including his goodness, truth, and beauty, and recognizing the centrality of seeing God as good in coming to believe in God, the focus of moral apologetics will be on pointing to God’s goodness. This could take a number of forms, beyond (but including) traditional forms of argument. A further line of thought suggests the importance of broadening our approach, however, and it is crucial for understanding how moral apologetics relates particularly to plausibility considerations and for illustrating the devastating power of moral objections to Christianity. Concern with God’s goodness plays at least two roles in traditional apologetics. First, a very important line of apologetic argumentation, a negative one (“playing defense”), is to respond to the perennial “problem of evil” (POE). The POE constitutes a moral objection to the Christian worldview. For many objectors, moreover, it is not merely a rational puzzle about the formal consistency of evil and divine great-making properties, but (also) an expression of their existential struggle about believing in God in the midst of suffering and pain. Part of the negative task of moral apologetics, then, will be continued work on the POE—supplemented with an emphasis, I suggest, on giving attention to the plausibility-relevant, real-life experiences of suffering that often lie behind this objection for some who object. Second, concern with God’s goodness has also played a positive role in traditional apologetics. Moral arguments for theistic belief appeal to moral considerations that point to the existence of God. Probably the most famous of such arguments is C. S. Lewis’s line of reasoning in the first few chapters of Mere Christianity. The basic intuition driving moral arguments is that the existence of objective moral values or moral obligations, properties that impinge upon us, bind us, and obligate us point beyond themselves—and beyond us imperfect moral agents—to a perfect moral agent who made us and who reveals his character and will to us in these ways. They point to a supreme moral authority who holds us responsible to live up to them. In short, the best explanation of a moral order is that there is a Moral Orderer. It is notoriously difficult, at best, to account for these pervasive and central features of moral reality in terms of alternative worldviews such as naturalism or pantheism. Although moral arguments like this are often difficult to spell out in their specifics, they capture what is for many people one of the most powerful pointers to the existence of God. This is because, I suggest, it reflects the Anselmian intuition that God is the final, ultimate locus or ground of value. Moral arguments touch our desire for goodness, which is central to our being drawn to God. What motivates moral arguments for theistic belief, then, is what is at the heart of moral apologetics. Developing such arguments, then, is part of moral apologetics. But it would be a mistake to confuse the part with the whole. Traditional moral arguments play a crucial role, but they function primarily at the level of credibility; their fruitfulness in pointing God’s goodness presupposes the existence of plausible soil, where God’s goodness is already plausible. But what is particularly exigent at this time with respect to God’s goodness is at the level of plausiblility: the need to soften and enrich the soil. The chief objection today is that Christianity is too bad to be true. Traditional moral arguments do not address this directly, either in their content or, more importantly, in the level at which they function. This is not to say that traditional moral arguments play no role in plausibilizing the Christian worldview. Any considerations that point to God’s goodness will contribute. But what I wish to stress here is the importance of other, more experiential aspects of grasping goodness that need to be taken into account. Consider an analogue from another side of Anselmian apologetics, beauty. Aesthetic pointers to God must be expressed aesthetically, as it were; a certain kind of experience is involved in grasping beauty, which is not merely cognitive. Actual aesthetic pointers to God could hardly be sufficiently captured in formulating “aesthetic arguments” for theistic belief. There may be such arguments, and some may be very good ones, but—as Lewis describes in his own experience—it is the experience of beauty that draws one to the ground of Beauty. Arguments about or from beauty presuppose such an experience. This is where I think that traditional moral arguments can fall short for many people: not as good philosophy but as fully persuasive apologetics, given current epistemic soil conditions. Where the moral evidence for God is most important in this respect is prior to argument: it is seen, rather than heard, as it were. Grasping that God is good—believing that God is good, that the gospel is good—requires an experience of goodness associated with God and the gospel. Bad experience in this regard, or no experience, will derail credibilizing moral arguments from reaching their mark. So I suggest that it is in the experience of goodness associated with God and the gospel, that the goodness and badness of Christians and Christianity, whether actual or merely perceived, is relevant to the goodness of God. We are, as is often noted, the tangible hands and feet of God. We are what people do see of the God they do not see. This sensory, experiential imagery, it seems to me, is important. Thankfully, my first assumption is true – the Holy Spirit’s work in people’s hearts limits how badly we can mess things up in this process. Still, if grasping good essentially involves a kind of tangible experience of goodness, the experiences people have with God’s people will be hugely significant in relation to their seeing God as good. This is why, as with Mr. Hard Hat, if the context conflicts with the content—if who we are conflicts with what we say, however true—people will go with the context. Jesus loves you is not believable. The project of moral apologetics, then, should be full-orbed and holistic. The genus of moral apolostics is: pointing to the goodness of God. Its species reflect the different approaches that may be taken to point to God’s goodness, including traditional moral arguments and responses to the POE but also a variety of more experiential, embodied approaches. Along Anselmian lines, we build on the strong sense that we as humans have that goodness is not merely or ultimately self-explanatory or self-grounding. Tastes of goodness are themselves hints or clues or reflections of something much bigger and better: “the way it’s supposed to be,” which we can grasp only provisionally now, and is often reflected in our experience in twisted and distorted ways. As moral creatures we desire to make sense of our experience of moral value and we long for a worldview that does so in a coherent, explanatory, livable way; one that connects our experience and our aspirations, but also can provide a solution for our guilt in falling short of what we know to be good. We want and need to know the truth of these things, but we also deeply want and need to experience them—to experience goodness, forgiveness, cleansing. I tell it to you with an openness of heart that I doubt I shall ever achieve again, so I pray that you are in a quiet room as you hear these words. My secret is that I need God – that I am sick and can no longer make it alone. I need God to help me give, because I no longer seem capable of giving; to help me be kind, as I no longer seem capable of kindness; to help me love, as I seem beyond being able to love. The hunger for goodness that Coupland describes is a reflection of the Anselmian intuition that goodness ultimately points to and can only be finally grounded in God. It is an expression of the classical picture of the nature and role of goodness in relation to God that we saw in Augustine and Aquinas, not to mention Scripture. Then one gray April afternoon I found a brief article on the French Village of Le Chambon-sur-Lignon. I shall not analyze here the tears of amazement and gladness and release from despair—in short, of joy—that I shed when I first read that story . . . at last I had discovered an embodiment of goodness in opposition to cruelty. I had discovered in the flesh and blood of history, in people with definite names in a definite place at a definite time in the nightmare of history, what [no one] could deny was goodness. Hallie discovered people living the way people are supposed to live, morally—embodying goodness. And he was drawn to them and the kind of life they represented. Moreover, what he and others discovered as they dug deeper is that the people of this village were, in fact, Christians—people who lived as they did, doing what they did, as Christians, as a reflection of their simple, non-scholarly yet deeply, irreducibly biblical understanding of reality. Today, in the field of ethics, the village of Le Chambon is well known, and is widely regarded as the chief example of moral altruism or self-sacrificial goodness in the twentieth century. The power of their example and its Christian basis are undeniable, and they elicit universal admiration. The people of Le Chambon constitute an embodied moral argument for the gospel, one that makes Christianity immensely more plausible to those who are aware of them and what they did. The understanding we have developed here not only makes sense of the positive power of such examples, but it also reveals the devastating power of moral objections to belief in God, why they make the gospel unbelievable to so many. Bad Christian behavior, whether real or merely perceived, hardens the soil and makes the gospel implausible. Beyond the essential connection between experiencing good and grasping good, the effect of bad Christian behavior is exacerbated by its collision with the basic Anselmian intuition that the human hunger for goodness ultimately points to and can only be finally grounded in God. This, in my view, is an important explanation for why Christians, as those who represent God, are expected to be good, even by those who adamantly disagree with them, and why it is so devastating for all concerned when Christians are not. Many different moral systems and religions commend high standards of morality, but Christians are typically held to a higher standard. Part of the reason for this is that Christianity has historically been seen, rightly in my view, to represent the highest of moral standards, and so there is understandable revulsion at the hypocrisy of Christians making high moral pronouncements but not living up to them. But that’s not all there is to it; Christianity also, after all, teaches that all humans fall short of the glory of God, that all are sinners and are in need of God’s grace and divine intervention. The gospel is not a reward for moral perfection, but rescue, forgiveness, healing and hope for those who admit they need it. When Christians are bad, I suggest, people experience a kind of existential disillusionment. Related to the Anselmian intuition that God is the ultimate ground of goodness, there is a deep sense that Christians who represent him should be good, and that their goodness really does point to the ultimate source of goodness—that their being good is essentially related to their message being believable. So when they’re not, it’s not just that they are inconsistent, or even just that they are bad people. They’ve committed a kind of cosmic treason; they’ve betrayed a much bigger story. They’ve made the gospel unbelievable. Sadly, examples here may also be multiplied. I will cite only a few. An evangelical journalist who lost his faith after years of covering news of religion attributes his disillusionment to bad Christian behavior. If the Lord is real, it would make sense for the people of God, on average, to be superior morally and ethically to the rest of society. Statistically, they aren’t. . . . It’s hard to believe in God when it’s impossible to tell the difference between His people and atheists. More extravagantly (as usual), in “Why I am Not a Christian,” Bertrand Russell points to what he sees as overwhelming evidence that Christians and Christianity are morally bad. That is the idea—that we should all be wicked if we did not hold to the Christian religion. It seems to me that the people who have held to it have been for the most part extremely wicked. You find this curious fact, that the more intense has been the religion of any period and the more profound has been the dogmatic belief, the greater has been the cruelty and the worse has been the state of affairs. In the so-called ages of faith, when men really did believe the Christian religion in all its completeness, there was the Inquisition, with all its tortures; there were millions of unfortunate women burned as witches; and there was every kind of cruelty practiced upon all sorts of people in the name of religion. Similar charges are stock in trade of “new atheists” like Richard Dawkins, Christopher Hitchens and Sam Harris. Moral objections to the goodness of God range from the problem of evil and suffering to charges that the “God of the Old Testament” is wicked, petty, and genocidal; to examples of (perceived) shameful Christian misbehavior in history (the Inquisition, Crusades, witch hunts, opposition to science, colonialism, slavery, intolerance toward women and gays, etc. ); to bad personal experiences with Christians that some people have had. Sometimes moral objections are based on actual wrongs Christians have done, or at least to those that people have done in the name of Christ. Sometimes they’re based on misinformation or misunderstandings. Sometimes they’re based on questionable assumptions—as when Christians may have done nothing wrong at all, but their actions (e.g., proclaiming Jesus as Savior) conflict with relativistic assumptions about tolerance and truth, and deemed evil as a result. And sometimes the objections just reflect irreducible conflicts between Christianity and cultural values (chastity vs. sexual freedom, for example). In any case, real or merely perceived, moral objections that lead someone to see Christianity as bad make the Christian worldview unbelievable to them. Christianity couldn’t be true; it’s too bad to be true. The important negative task of moral apologetics, then, is to respond to those objections. In conclusion, I summarize the nature and role of moral apologetics, as it has emerged here. The aim of moral apologetics is to point to the goodness of God in ways that are appropriate to that aim, including—and emphasizing—being good as believers, exemplifying God’s goodness in relation to those to whom we seek to share the message that Jesus loves you. Moral apologetics is one aspect (not the only one) of an Anselmian approach to engaging others with, and pointing toward, God’s goodness, truth, and beauty, and doing so in ways that are appropriate to each of those values. Negatively, moral apologetics involves engaging and responding to moral objections to the goodness of God and his people. Because moral objections proliferate, we as apologists need to think them through strategically and sensitively, and begin to address them. I suggest that we do this in community, collaborating with each other about how to engage different groups and generations effectively concerning different questions. Some objections will require significant, specialized study in order to address them adequately. Others may require less effort. Working in community, dividing the labor, can make this possible. In all of this, we should be particularly sensitive to the role of plausibility considerations in these objections, and so we need to approach them prayerfully, humbly, and usually dialogically. Again, we can help each other in these ways. Positively, moral apologetics involves “making the case” that God is good and is the ultimate ground of all goodness. This can take a variety of forms, including traditional moral arguments. My emphasis in this account has been the positive task of moral apologetics in a fundamentally experiential or incarnational sense: being good, as Christians, as representative of God’s goodness—making the gospel plausible, by enabling people to grasp the goodness of God through experienced goodness with his people. Obviously, the scope of this project goes far beyond traditional understandings of the science of apologetics or even the art of apologetics. It is the task, not only of apologists, but of the entire body of Christ. In fact, that is exactly as it should be, since Jesus described what makes the gospel believable in just these terms: “A new command I give you: Love one another. As I have loved you, so you must love one another. By this everyone will know that you are my disciples, if you love one another.” (John 13.34-35) “In the same way, let your light shine before others, that they may see your good deeds and glorify your Father in heaven.” (Mathew 5.16) These famous passages are pictures of plausibility, and, according to Jesus, apparently, they represent the chief pointers to God. Notice particularly, in the latter passage (from Matthew) the connection between our good deeds and those who see them coming to worship God. As we have seen, one’s worshiping God is essentially, perhaps chiefly dependent on one’s coming to see God as good. May we be able to say Jesus loves you so that those who hear us believe it. May they see Christianity as too good not to be true. Image: "vying from the gutter" by blueskyjunction photography. CC License. Pascal, Blaise, Pensées 12, A. J. Krailsheimer ed. and trans. (London: Penguin Books, 1995), p. 4. The term, “moral apologetics,” was first suggested to me, I believe, by Greg Pritchard of the European Leadership Forum, when he invited me to address these issues in a series of lectures given in Hungary in 2006. This paper is a more thorough development of those and subsequent talks on moral apologetics I have subsequently given in various popular-level contexts. I presented an initial draft at the Evangelical Philosophical Society national meeting November 17, 2011. Recent efforts by other scholars include Mark Coppenger’s Moral Apologetics for Contemporary Christians (Nashville, Tenn.: B&H Publishing Group, 2011) and David Baggett’s website, moralapologetics.com. “Listening Church,” The Guardian, October 14, 2002. This is changing. See note 2, and especially the resources featured at moralapologetics.com. I also describe apologetics in Mind Your Faith: A Student’s Guide to Thinking and Living Well (Downers Grove, Ill.: IVP Academic, 2011), pp. 189-193. I first came to think of apologetics along these lines through the writings and teaching of my esteemed mentor and friend, Gordon Lewis. The definitive work on apologetics today is Douglas Groothuis, Christian Apologetics: A Comprehensive Case for Biblical Faith (Downers Grove, Ill.: IVP Academic, 2011). For a related introduction to this distinction and literature, see Dennis Hollinger, "The Church as Apologetic: A Sociology of Knowledge Perspective," in Timothy R. Phillips and Dennis L. Okholm, eds, Christian Apologetics in the Postmodern World (Downers Grove, Ill.: InterVarsity Press, 1995), pp. 182-193. My characterization here is provisional and draws substantially from Hollinger’s account. I discuss these matters further in Mind Your Faith, pp. 177-180 and 238-244. I do not deal here with two other powerful “plausibility” assumptions that tend to derail serious consideration of the Christian worldview: scientism (the assumption that all that is real, true, or knowable is what science is able to establish) and the commonly accepted view of tolerance, according to which all propositions (at least in matters of religion and ethics) should be considered equally true, and it would be immoral (“intolerant”) to think otherwise. I address these briefly in Mind Your Faith, pp. 112-114, 136-137. Unless otherwise indicated, Scriptural quotations are from the New International Version (2011). Proserchomai—Peter uses the present participle, suggesting behavior that is active and regular. See Aristotle, Nicomachean Ethics (NE) 1.1.1094a2-3; Aquinas, Summa Theologiae (ST) Ia.5.1c; Boethius, Consolation of Philosophy (CP) 3.11;ß Dionysius Div. Nom. iv. See Julia Annas, The Morality of Happiness (Oxford: Oxford University Press, 1993). See 1 Chr 16.34, 41; 2 Chr 5.13; 2 Chr 7.3; 2 Chr 20.21; Ezra 3.11; Ps 100.4-5; Ps 106.1; Ps 107.1; Ps 118.1, 29; Ps 136.1 (and passim). C. H. Spurgeon, Treasury of David: Volume Two: Psalm LVIII to CX (Peabody, Mass. : Hendrickson, 1988), p. 253. Ibid., 3.12. Cited from Boethius, The Consolation of Philosophy, V. E. Watts trans., (London: Penguin Books Ltd., 1969), p. 115. City of God, 8.8. Cited from Augustine, Political Writings, Michael W. Tkacz and Douglas Kries, eds. and trans. (Indianapolis: Hackett, 1994), pp. 63-64. Cited from Augustine, Confessions, Henry Chadwick, trans. (Oxford: Oxford University Press, 1991), i (1), p. 3. ST IaIIae.1.6c. Citations from Thomas Aquinas, Summa Theologica, Fathers of the English Dominican Province, trans. (Westminster, Maryland: Christian Classics, 1981). IaIIae.5.2c. Following Augustine and the tradition, Aquinas understands “enjoying” to refer to seeing something as intrinsically good, desiring it for its own sake and not “using” it as a means to some other end or for the sake of some other good. 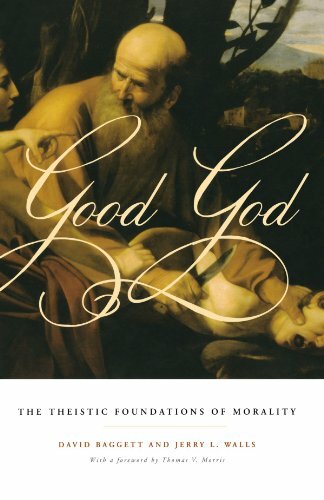 On the metaphysics of goodness in classical and Christian thinking, see Scott MacDonald, ed., Being and Goodness: The Concept of the Good in Metaphysics and Philosophical Theology (Ithaca: Cornell University Press, 1991). I.1. Citation from John Calvin, Institutes of the Christian Religion, Henry Beveridge, trans. (Peabody, Mass. : Hendrickson, 2008), p. 4. See Anselm of Canterbury: The Major Works, Brian Davies and G. R. Evans, eds. and trans. with Introduction (Oxford World's Classics. Oxford: Oxford University Press, 1998). Thomas V. Morris, Anselmian Explorations: Essays in Philosophical Theology (Notre Dame: University of Notre Dame Press, 1987); and Our Idea of God: An Introduction to Philosophical Theology (Vancouver, B.C. : Regent College Publishing, 2002). Our Idea of God, p. 47. What follows depends closely upon my discussion in Mind Your Faith, pp. 190-192. See C. S. Lewis, Surprised by Joy: The Shape of My Early Life (Orlando, Flo. : Harcourt Brace & Company, 1955); and "The Weight of Glory," in The Weight of Glory and Other Addresses, Walter Hooper, ed. (New York: Simon and Schuster, 1996), pp. 25-40. See Robert M. Adams, “Moral Arguments for Theistic Belief,” in The Virtue of Faith and Other Essays in Philosophical Theology. Oxford: Oxford University Press, 1987; Robert Gay, "Moral Arguments for the Existence of God," Modern Theology 3 (1987): pp. 117-36; Stuart C. Hacket, "The Value Dimension of the Cosmos: A Moral Argument," in Philosophy of Religion: A Reader and Guide, William Lane Craig, ed. (New Brunswick, NJ: Rutgers University Press, 2002), pp. 149-54; John E. Hare, The Moral Gap: Kantian Ethics, Human Limits, and God's Assistance (Oxford: Clarendon Press, 1996). C. S. Lewis, Mere Christianity (San Francisco: HarperCollins, 2000; reprint of 1952 edition). Moral arguments were more popular during the early to mid-twentieth century. Besides Lewis, see, e.g., W. R. Sorley, Moral Values and the Idea of God (Cambridge: Cambridge University Press), 1918, and A. E. Taylor, The Faith of a Moralist (London: Macmillan, 1937). A recent moral argument is David Baggett and Jerry L. Walls, Good God: The Theistic Foundations of Morality (New York: Oxford University Press, 2011). Cf. the role of desire in relation to goodness and virtue noted in part 2 and notes. 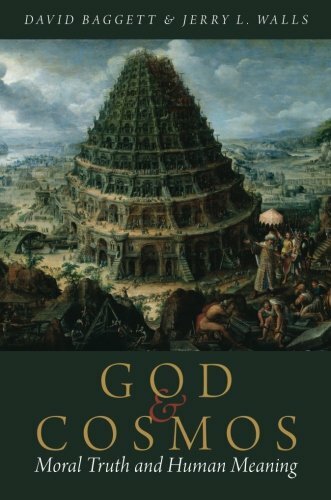 John Hare, God's Call: Moral Realism, God's Commands, and Human Autonomy (Grand Rapids, Mich.: Eerdmans, 2001). C. S. Lewis, The Abolition of Man: How Education Develops Man's Sense of Morality (San Francisco: HarperSanFrancisco, 2001), pp. 16-17. NE 2.3.1104b13. Citation from Irwin trans. (Indianapolis: Hackett, 1999). For a very helpful analysis of Aristotle’s view here, see Miles F. Burnyeat, "Aristotle on Learning to Be Good," in A. O. Rorty, ed., Essays on Aristotle's Ethics (Berkeley, Calif.; University of California Press, 1980), pp. 69-72. See Cornelius Plantinga, Jr., Not the Way It's Supposed to Be: A Breviary of Sin (Grand Rapids, Mich.: Eerdmans, 1995), chapter 1. Douglas Coupland, Life without God (New York: Pocket Books, 1994), p. 359. Philip Hallie, Lest Innocent Blood Be Shed (New York: Harper and Row, Publishers, 1979), p. 93. I tell the story of Le Chambon in detail in Mind Your Faith, chapter 13. In Mind Your Faith I suggest the possibility that Albert Camus’ reported turn toward Christianity shortly before he died may have been the product of his living in Le Chambon during this time (see pp. 243-244). William Lobdell, Losing My Religion: How I Lost My Faith Reporting on Religion in America - and Found Unexpected Peace (New York: HarperCollins, 2009), 271. Cited in Jonathan Lunde, Following Jesus, the Servant King: A Biblical Theology of Covenantal Discipleship (Grand Rapids, Mich.: Zondervan, 2010), 25. Bertrand Russell, “Why I Am Not a Christian,” online: http://www.users.drew.edu/~jlenz/whynot.html, accessed 23 February 2015. David Horner has taught at the University of Oxford, Denver Seminary, and served as a Visiting Scholar and Research Associate at the University of Colorado. He has lectured in numerous classrooms and university forums nationally and in Europe, and he has written numerous articles and book chapters on ethics, apologetics and ancient and medieval philosophy. Horner serves as Research Scholar for Centers for Christian Study, International, an effort to develop intellectual Christian communities within secular university contexts. He also serves as Executive Director of The Illuminatio Project, whose aim is to bring the light of a classical biblical vision of goodness, truth and beauty into the thinking of the church and culture through strategic research and communication.